PINK RIBBON RALLY held on October 5th was a huge success with record attendance. The Center for Comprehensive Breast Care and Human Resources would like to thank everyone for attending this year's PINK RIBBON RALLY. This annual event helps to educate the community about breast health including the importance of annual mammogram screenings and clinical breast examinations. 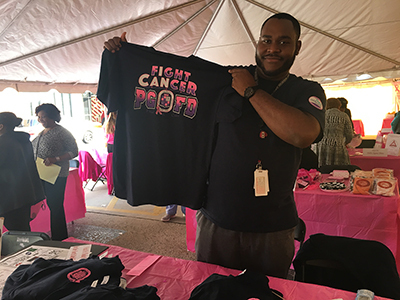 Over 400 people from the community and employees attended the event making it the best attended to date with more than 54 mammogram screenings, 47 clinical breast exams and 18 new DCH patients. 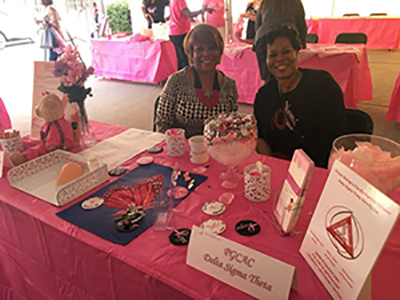 “ It was a very successful event and we are pleased with the number of services we were able to provide to the community and our employees” said Terrie Trimmer, director of the Center for Comprehensive Breast Care at Doctors Community Hospital. "Any opportunity we have to heighten awareness and educate women, as well as others makes it a good day." According to the American Cancer Society, an estimated 252,710 women were diagnosed with invasive breast cancer in 2017. With approximately 40,610 women dying from this disease, it is ranked as the second leading cause of cancer deaths. The Maryland Department of Health and Mental Hygiene reported that Prince George’s County has one of the highest mortality rates compared to other jurisdictions in the state. Special thank you to this year’s sponsors, Wegmans, Prince George's County Alumnae Chapter of Delta Sigma Theta Sorority, Inc., Prince Georges County Police Foundation and we recently received a $10,000 grant from the Safeway Foundation. 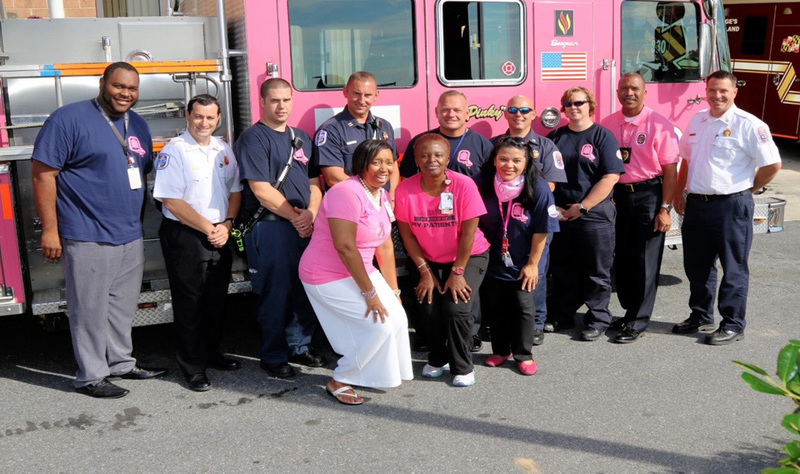 We appreciate their dedication to advance breast health awareness. Women should get regular screening mammograms to help detect breast cancer early – when it is most treatable. Women should contact their physicians immediately, if they experience any of these symptoms. To schedule an annual mammogram screening or request a free breast health brochure, call the Center for Comprehensive Breast Care at 301-552-8524 or visit DCHweb.org/breast.